At the recent COP24 climate conference in Katowice, Poland, Heads of State adopted the Solidarity and Just Transition Silesia Declaration with the aim of highlighting the importance of achieving more progress on addressing the vulnerability of labour markets in carbon-intensive sectors that are facing the pressure of change towards low-carbon development. After this high-level declaration, the main challenge is the operationalisation of the just transition concept in both national policies and the global UN climate convention sphere: we must ensure that there is no gap between this formal endorsement and its successful implementation, as it is a principle that serves as an important tool to the implementation of Nationally Determined Contributions (NDCs). In this regard, it is necessary to promote further debate and exchange of ideas concerning how does just transition look in practice, and bringing together researchers and relevant stakeholders can contribute towards closing the gap. We must develop approaches and solutions that can be implemented via the NDCs and global guidelines under the Paris Agreement. 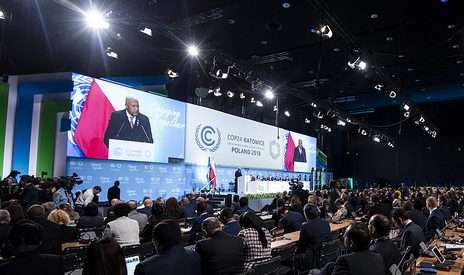 Climate Strategies, together with the International Labour Organisation and the Polish COP24 Presidency, hosted on 3rd December 2018 at the COP24 summit the event “Just Transition for All”, gathering research and practitioners on Just Transition, as well as stakeholders from businesses, trade unions, activist organisations and negotiators under the UNFCCC. As an outcome from this event meeting and from related interactions on the topic, Climate Strategies is releasing Implementing Just Transition After COP24, a policy brief addressed predominantly to Parties implementing the Paris Agreement with the aim of strengthening their NDCs. It provides both evidence and operational considerations of how to use the Just Transition concept for this purpose. Transitions must be both fast and fair if they are to obtain the social approval required to reach the targets enshrined in the Paris Agreement. The Silesia Declaration represents a significant milestone, sending a crucial message that workers will not be sacrificed in an effort to cut emissions and arrest climate change, and that the low-carbon economy will be fair and inclusive. The Just Transition discussion must be considered as one part of a series of measures addressing the positive and negative (including transboundary) consequences of mitigation and adaptation actions (including transboundary concerns). Given that all countries have different circumstances, and thus different challenges, Just Transition requires bespoke multi-scalar action with a common framework, united by a set of overarching messages. The enactment of Just Transition must be linked to Nationally Determined Contributions (NDCs) and Long-Term Strategies. countries, sectors and historical transitions. Empirical evidence and economic modelling of and further research on Just Transition and its impacts is required to inform governments and UNFCCC negotiators in developing appropriate strategies and climate change measures and policies. The COP24 event and the policy brief are part of a project supported by the European Climate Foundation.